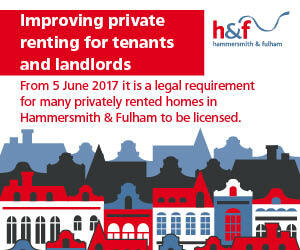 We want to make the private rented sector in Hammersmith & Fulham a place where tenants and landlords feel safe and protected. 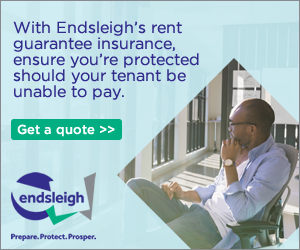 Nearly all privately rented properties in the borough need to be licensed. We have introduced two new licensing schemes to help give people who rent their homes and their tenants, the best protection. These two new schemes are in addition to the mandatory HMO licensing scheme and were backed by residents and landlords who took part in our consultation last December. share either a bathroom, kitchen, shower or toilet. This is applied to all private rented properties on certain designated streets. You can download the full list of streets at the bottom of this article. For more information on our property licensing schemes, application form, frequently asked questions and answers and list of streets that have been designated under selective licensing, please visit the council's website. You must apply and pay for a licence online at www.lbhf.gov.uk/propertylicences. Due to the high volume of property licensing applications we have received, I am pleased to advise that the deadline for submitting licence applications has been extended to 30 January 2018. Having said that, it is important to remember that it is illegal to operate a licensable property without making a complete property licence application. Fire safety details: provision of fire doors, smoke alarms etc. If you do not have fire safety provision please say “None”, “0” or answer as appropriate. Your membership number, if you’re a member of a landlord association or the London Landlord Accreditation Scheme (LLAS). Gas certificate: If your property has a gas supply, you’ll need to supply a copy of the most up to date gas safety certificate. Property plan: For mandatory or additional licences only, please find below a template which illustrates the level of detail required. If you would like any further information about your application, or if you are a letting agent and would like me to visit your offices to discuss with your team please email phs@lbhf.gov.uk. Two London Landlord Accreditation Schemes have been organised on the 12 October and the 30 November 2017, where we'll discuss the new schemes at the end of the session. To book please go to www.londonlandlords.org.uk/courses. A landlord forum is being organised for early next year. Please go to our website for further information. About the author: Debbie Ricketts is Principal Private Housing and Health Officer at Hammersmith & Fulham Council. You can contact her or a member of her team at phs@lbhf.gov.uk.